In 2014, it was stated by UNESCO that the world needed 4 million more teachers to get every child in a classroom. That’s according to a 2014 report from the United Nations Educational, Scientific and Cultural Organization (UNESCO), which details the acute global teacher shortage currently taking place in 93 countries. If these countries were to achieve universal primary education over the next few years, they would need to hire millions more teachers, UNESCO found. The teacher shortage is most extreme in sub-saharan Africa, where over 70 percent of countries currently need more teachers. As it stands, schools in the region suffer from overcrowding and a severe lack of resources or building maintenance. Here is a statistic from Akwa Ibom. It’s 2016 and with the growing population in Africa and the strength of a touch of recession in Nigeria one is only left at an imagination at what could be going on within the walls of the classrooms, especially in smaller states like Akwa Ibom. The challenge to create a working education system in Africa is a feat everyone should key into otherwise elites will be in extinction by 2026. The statistics are not only alarming but heart breaking. This is not a case of “Feed Africa” and the impoverished children’s pictures we share round social media depicting physical hunger, this is a mental hunger which isn’t only ulceric but cancerous and is not only spreading really fast but is shutting down systems, structures and economies. With the world moving into the fourth industrial revolution and the Internet nation, many Africans will be left behind or at the mercy of crime and social ill for development as the citadels of intelligence are decaying before our eyes while the stench of the intellectual decay is ridding the economy of growth and progression. 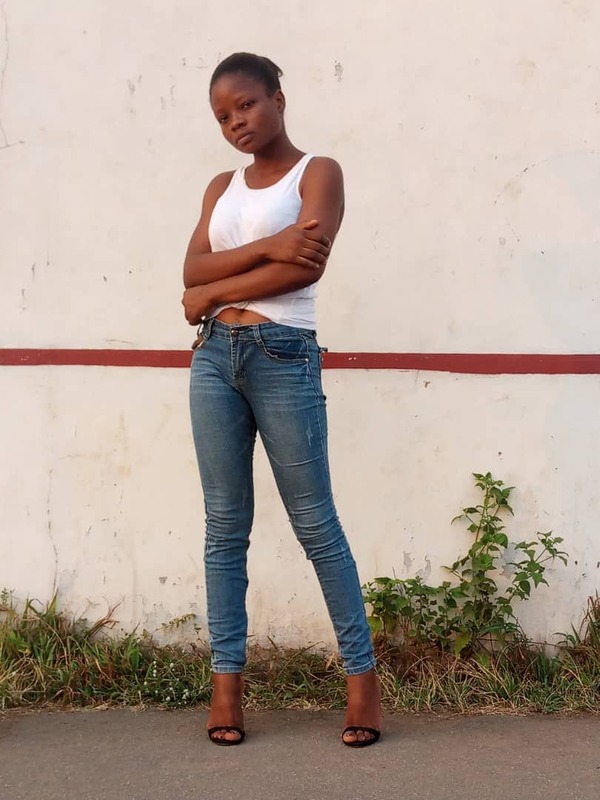 While the youth decry the lack of jobs, employers are raising “unemployability” campaigns showcasing a deeper challenge “the lack of employable people”. Where is the place of the average child and children who populate our education systems thirsty for knowledge and information to save the world, yet receiving next to nothing to save themselves? 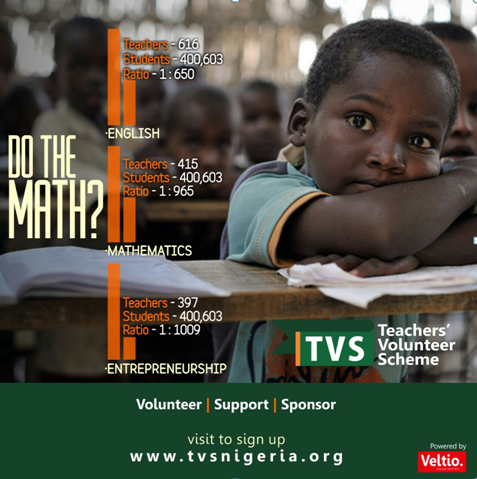 In the face of the heated and harsh reality ....a group of volunteers in the Akwa Ibom community are providing local and effective solutions to a global challenge through the The Akwa Ibom Teachers’ Volunteer Scheme (TVS). 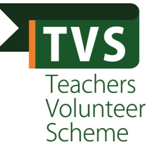 TVS is a timely intervention to improve the quality of Education in Akwa Ibom State, by recruiting, intensively training volunteer teachers in critical subject areas and deploying them to address existing vacant positions in public schools in the State. It will also serve as a platform for empowerment, to complement current effort of Government at reducing unemployment in the state. The TVS will provide person-to-person, teacher and student exchanges, quality educational opportunity for the less privileged. This set of volunteer teachers thus endowed with requisite experience will serve as a reservoir or “go to market” for future recruitment by the public or private sector. 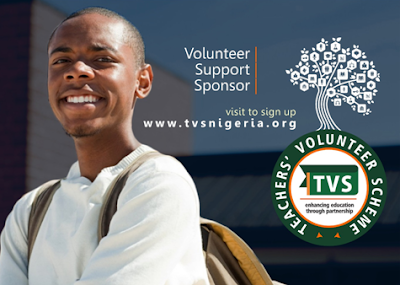 The TVS and its iVolunteer programs are centred on the conviction that the citizens can be central to providing solutions to challenges in their communities as a means of support to government’s resolute effort. Volunteer at a school today and save your generation from intellectual extinction tomorrow, you can save this generation by being a part of the solution.